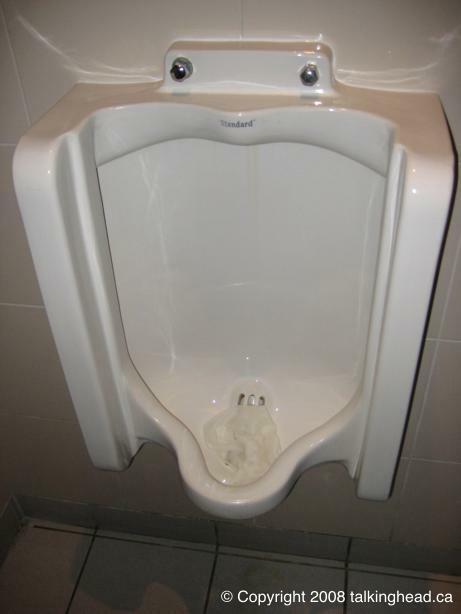 Alright, this article is for all the men out there that don’t know how to use a urinal. Almost every time I visit a public washroom, I see paper in one of the urinals. HOW IS THIS POSSIBLE? HELLO?? In case you haven’t noticed, urinals are not capable of flushing paper. Paper is not provided. So that means these dumbasses go and get paper from either a paper towel or toilet paper dispenser and knowingly put it in the urinal. This is absolutely disgusting! Why? What purpose is served by this? If you need to use paper while doing your business, you shouldn’t be using a urinal. If you’re one of those people who do this… don’t. Just don’t. It’s gross and it’s wrong. This entry was posted on Wednesday, February 13th, 2008 at 11:33 -0500 and is filed under etiquette. You can follow any responses to this entry through the RSS 2.0 feed. You can leave a response, or trackback from your own site.